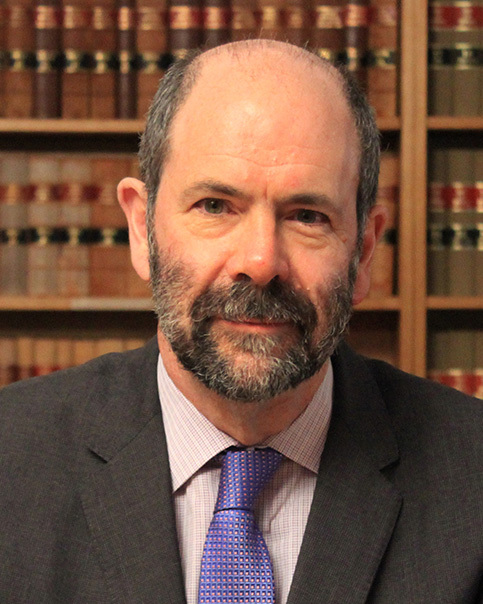 Donald R Rothwell is one of Australia’s leading experts in International Law with specific focus on the law of the sea; law of the polar regions, use of force and implementation of international law within Australia. He is the author of 24 books and over 200 book chapters and articles including, with Tim Stephens, the influential and respected academic text, The International Law of the Sea (2nd ed, 2016). His most recent work is International Polar Law (Elgar: 2018) co-edited with Alan Hemmings. The 3rd edition of International Law in Australia (2017) co-edited with Associate Professor Emily Crawford, revives a publication that last appeared in 1984 and brings together some of Australia's most eminent international law jurists, practitioners and scholars to assess contemporary developments for Australia and international law. Major career works include The Polar Regions and the Development of International Law (CUP, 1996), and International Law: Cases and Materials with Australian Perspectives 3rd (CUP: 2018) with Kaye, Akhtarkhavari, Davis and Saunders. Rothwell is also Co-Editor of the Australian Year Book of International Law and Editor-in-Chief of the Brill Research Perspectives in Law of the Sea. From 2012-2018 he was Rapporteur of the International Law Association (ILA) Committee on ‘Baselines under the International Law of the Sea’. He has taught a range of courses including Law of the Sea, International Dispute Resolution, International Law and Use of Armed Force, International Humanitarian Law, Military Operations Law, and Public International Law. In 2012 Rothwell was appointed an inaugural ANU Public Policy Fellow, and in 2015 elected as Fellow to the Australian Academy of Law. He is a regular media commentator on international law issues and has written over 100 opinion comments, including for all of the major daily newspapers in Australia and ABC Online ‘The Drum. His media interviews have included ABC TV 7.30, ABC Radio ‘AM’ and ‘PM’, ABC Radio National ‘Breakfast’, ABC News 24, Al Jazerra (TV), BBC, and the Voice of America. Is an 11-member Trans-Pacific Partnership (TPP) 2.0 a possibility? It seemed most unlikely back in January when US President Trump withdrew the United States from the TPP. But there have since been ongoing discussions among the remaining 11 members in an effort to keep the TPP dream alive. Professor Stephen Bottomley, Dean ANU College of Law, invites you to an informal gathering hosted by Professor Donald R. Rothwell, Deputy Dean, ANU College of Law, with distinguished ANU law alumni living and working in Singapore. On 12 July 2016, the Annex VII Tribunal on the South China Sea maritime dispute unanimously decided that there was no legal foundation under the United Nations Convention on the Law of the Sea for China's nine-dash line and that China had supported activities infringing the Philipines' fishing and maritime rights. Law Alumni Meet-Up - Washington D.C. Professor Stephen Bottomley, Dean ANU College of Law, invites you to an informal gathering hosted by Professor Donald R. Rothwell , Deputy Dean, ANU College of Law, with distinguished ANU law alumni living and working in Washington D.C.
Donald R Rothwell is one of Australia’s leading experts in International law with specific focus on the law of the sea; law of the polar regions, use of force and implementation of international law within Australia. Donald regularly extends the reach of his extensive expertise on international law through the media, where he is acclaimed as an independent and objective interpreter of international law as it relates to current affairs. These have included highly emotional and divisive issues such as the Bali Nine execution and the entry of Australia into the war against Islamic State in Syria and Iraq. “Gibraltar, Strait of” Max Planck Encyclopaedia of Public International Law IV (Oxford University Press, Oxford: 2012) 463-467; originally published online at www.mpepil.com (2009). “Sea Lanes” Max Planck Encyclopaedia of Public International Law IX (Oxford University Press, Oxford: 2012) 47-52; originally published online at www.mpepil.com (2009). “Fishery Zones and Limits” Max Planck Encyclopaedia of Public International Law IV (Oxford University Press, Oxford: 2012) 89-92; originally published online at www.mpepil.com (2008). Topic: Small scale uses of force: The threshold between "force" under the Jus Ad Bellum and "other forcible measures". Topic: The 'creeping' jurisdiction of coastal States; a legitimate way to fill gaps in the law of the sea, or an unwarranted expansion of power?